Miami International Airport, which is ranked second in America by number of European airlines, is adding yet another. 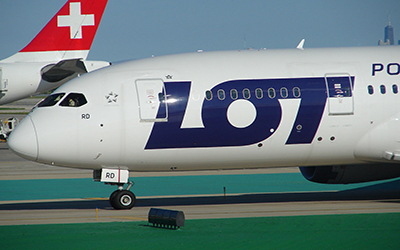 LOT Polish will begin flying to Miami on June 1, 2019 from Warsaw, the airline confirmed yesterday. Tickets are now on sale. With the addition of Warsaw, MIA now has service to 22 European cities. It is the first time Miami has had scheduled service to Warsaw. Flights will be operated by a Boeing 787-8 Dreamliner seating 252 passengers, and will initially run four times per week.